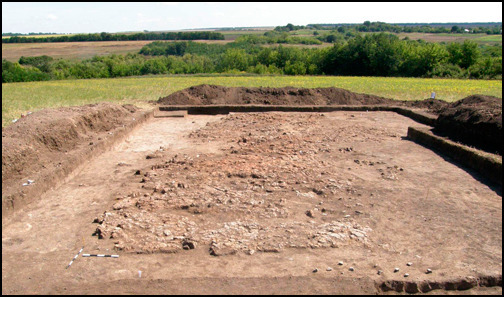 The Tripillia mega-sites of South West Ukraine are some of the largest sites in 5th – 4th millennium Eurasia, despite which they have been neglected in research into urban origins. The Project seeks to deliver field data and interpretation on a scale never attempted on mega-sites, whose very size (up to 450 ha) makes them difficult to investigate. The central methodological issue is how to place the 1,000 - 2,000 structures on a mega-site in a sequence, so as to demonstrate how many houses were occupied at the same time and permit the building of an accurate demographic site model. The Project has formulated a novel methodology to solve this problem, which it successfully tested in the field at the mega-site of Nebelivka, in Kirovograd Domain. The Project has also identified a number of wetlands near the mega-site for testing the scale of human impact on its environment. In these ways, the project will make a breakthrough in the understanding of Tripillia mega-sites and our understanding of the origins of complex societies and urban settlement in Eurasia. This research project is funded by the AHRC. Chapman, J. & M. Videiko, 2011. The Tripillia culture mega-site near Nebelivka: summer 2009 season. Praehistorica (Prague) XXIX: 79 – 94. Hale D., Chapman J., Swann N., Videiko M.,Villis R. 2010. Early Urbanism in Europe? Geophysical Survey at Nebelivka, Ukraine// Recent Work in Archaeological Geophysics. The Geological Society. 15th December 2010. Abstracts. – London, 2010. – Pp.35-36.